Al is Of Counsel to Heath Steinbeck LLP. 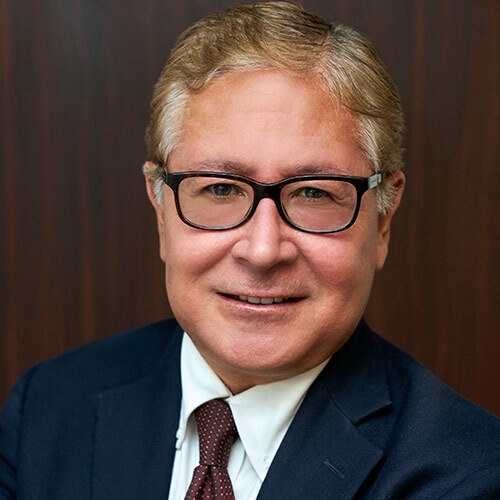 A seasoned attorney, Al has more than 30 years experience as a federal and state prosecutor, in-house counsel executive to major publicly-traded corporations, and in private practice. He handles domestic and international matters within challenging corporate, entrepreneurial, and regulatory environments. Prior to joining the firm, Al held a senior executive role with DIRECTV advising on subcontractor and vendor compliance, regulatory updates, state and federal litigation, enforcement actions and investigations, as well as customer privacy and cyber-security issues. He began his career as a California Deputy Attorney General before becoming an Assistant United States Attorney at the Criminal Division of the U.S. Attorney’s Office in Los Angeles and Santa Ana, prosecuting white-collar crime, government fraud and public corruption, mail and wire fraud, racketeering, tax, money-laundering, and narcotics matters. After leaving government service, Al spent a decade as Assistant General Counsel and International Counsel to Hughes Electronics Corporation (then a subsidiary of General Motors and subsequently renamed The DIRECTV Group). He was lead counsel in managing internal investigations and complex litigation, transactions and due diligence matters, including shareholder litigation and international disputes. As a senior advisor to executive management, he created and implemented corporate policies on FCPA compliance and other ethics and business conduct issues. His extensive international experience includes handling investigative and business matters throughout Mexico and South America, Asia-Pacific, Europe, Russia, and the Middle East. He then turned to private practice, focusing on litigation, internal investigations and transactions in civil, criminal, and regulatory matters, as well as counseling on risk management and corporate governance. Al received both his law and undergraduate degrees from the University of Southern California, and maintains close ties to the school. He is fluent in Spanish, and admitted to practice in California.